Me:- Have you got a parcel for me? Child:- No parcel look for yourself. So I looked and decided to sit on the my chair and start doing some quilting. Yes it arrived. 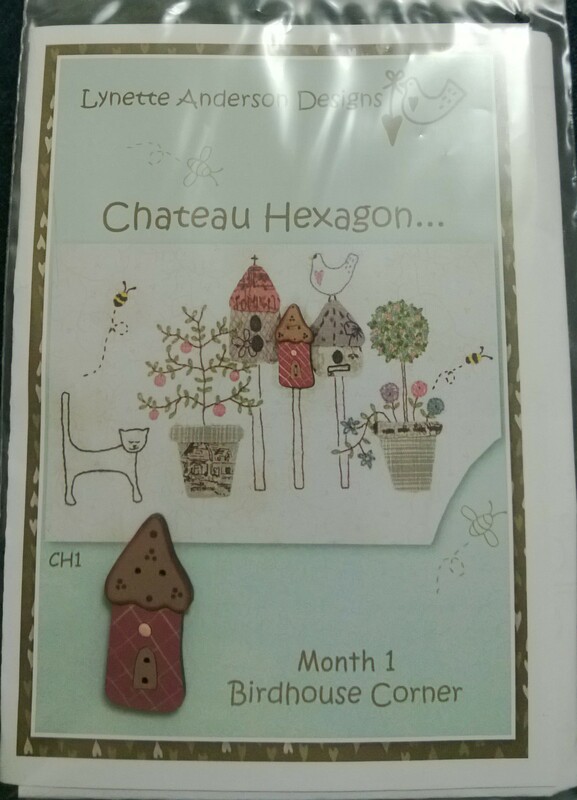 Lynette Anderson’s new mystery quilt called Chateau Hexagon. I got my quilt from the Little Quilt Store. I really can’t wait to start. The colors don’t seem to be like what Lynette would usually do but I think they look lovely. 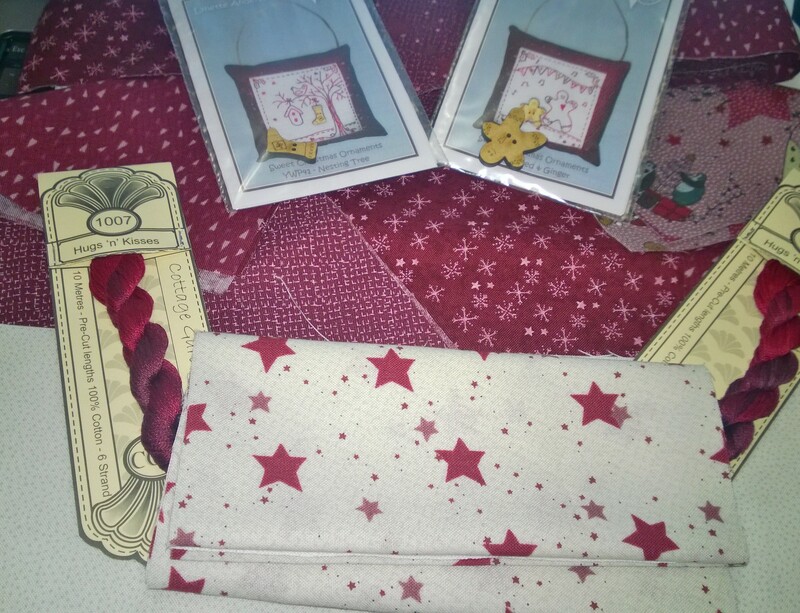 I purchased it with the fabrics and cottons and I am very happy with the selection. 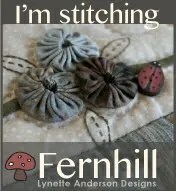 I think I’ll get the stitchery done first then the appliqueing and I’ll leave the hexagons till last. 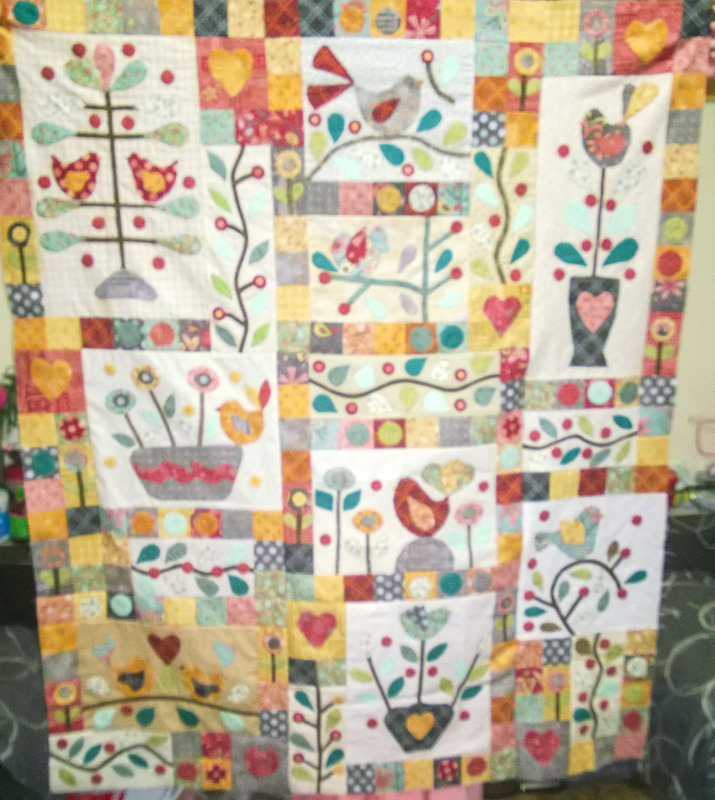 Would love to know your thoughts on this quilt and if your doing it how you are finding it. I’m really happy with the way that this quilt is coming along. I need an orange for one of the cats and I’m very happy with it. I can’t wait for the quilt to be finished. As you can see one of the puppies is holding a flag. After trying to remember what our nations flag looked like – I couldn’t remember the color set out for the union jack – I’m very happy with the flags. I found that doing the stars in 1 strand made it easy to show the stars. Ok this only means I have two my blocks to go – I might be naughty and I might just do block 4 first before I do the third block. 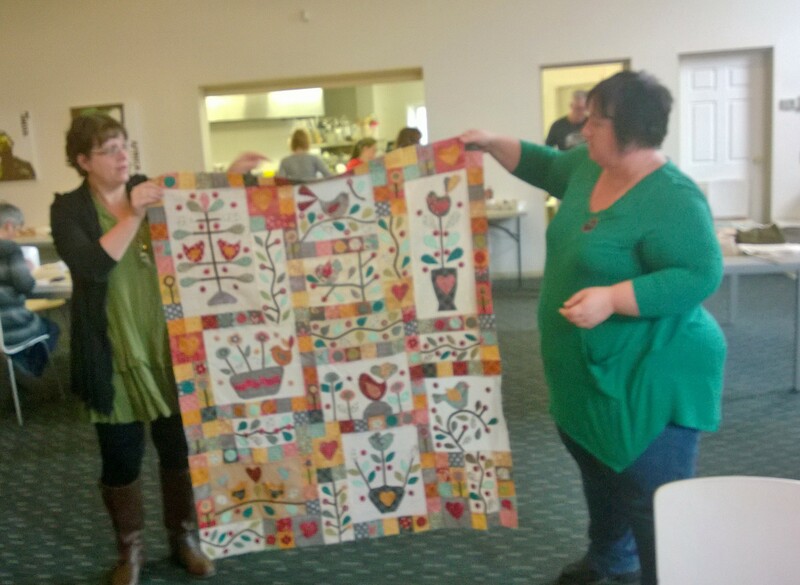 If you love this quilt your can get it from the Little Quilt Shop which is Lynette Anderson shop. 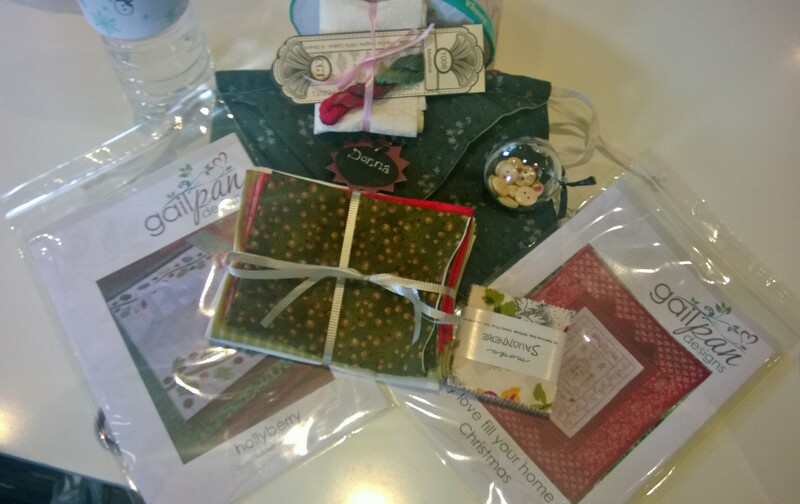 The fabrics are very beautiful but as quilter’s do know we sometimes like to change the fabric – which I have done and I think it works. Ok, I came up with this great idea to do a baby quilt for a friend and I have just finished the first block for this quilt. It got me thinking, what type of baby blanket would you make for someone. This one is a dog one and to explain the reason why is simple. The mother of this baby loves dogs and as part of her job she trains them. Thus explains the reason for having a dog type blanket. Unfortunately her dogs are not like Lynette Anderson’s dogs but are as much love as Hugo is. 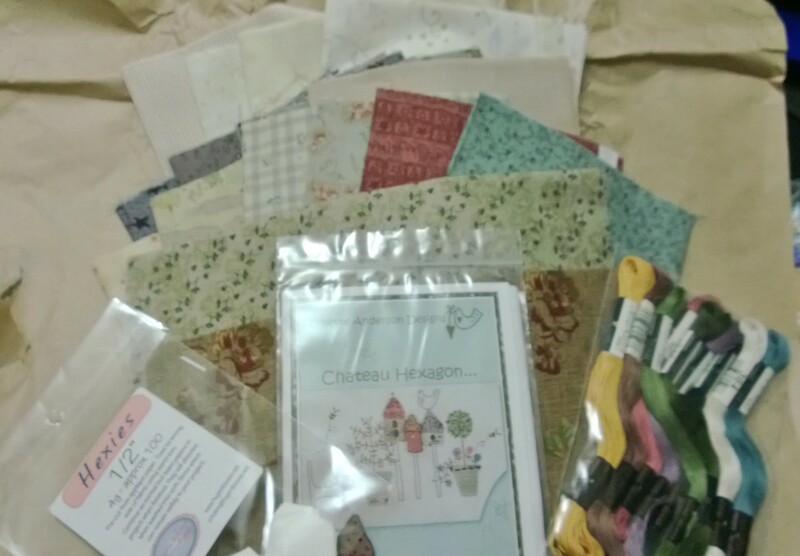 I brought the kit with most of the fabric, then starting looking for other fabrics. I brought a marble like orange, Hollyhook white with daisies, and some teal fabric. I’m now on the second block as this blanket needs to be done and completed soon. Let me know what you think…..
Ok this is the first day of my holidays (yeah!!!!) and I have so much to do. I’m currently doing a course at university and this starts today. 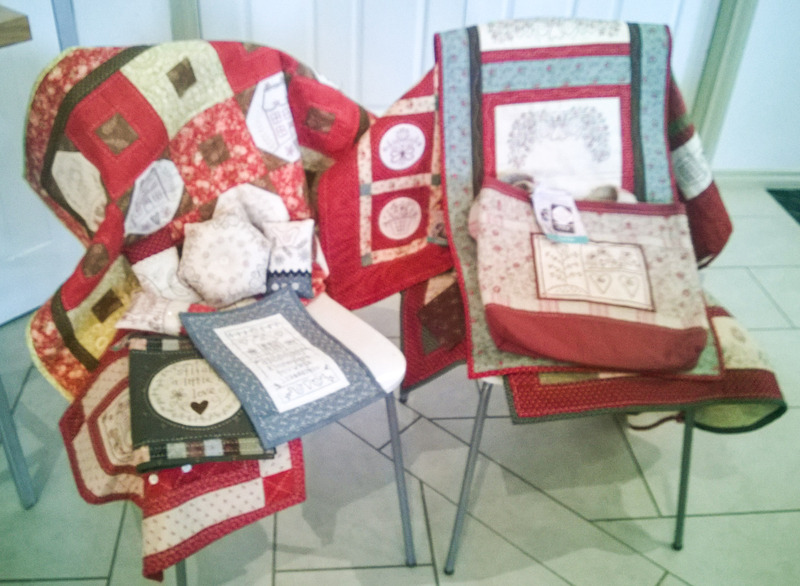 I have also commenced a number of quilts despite not finishing some already. But I do have a good reason for starting some of them. 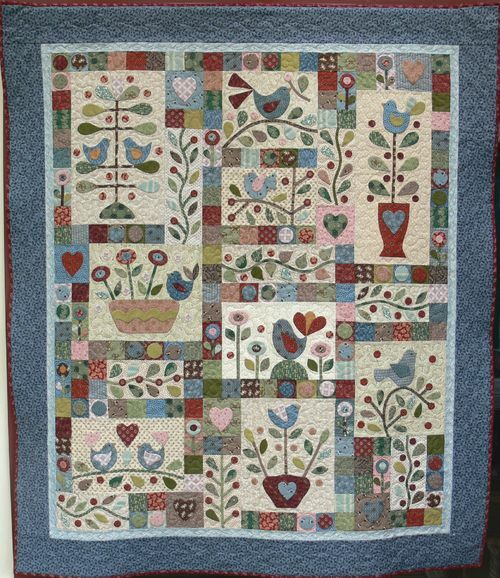 The first one is that this quilt, Lynette Anderson’s A Dog’s Life, is a baby blanket for a friend I know. Yes a dog design blanket for a baby blanket – crazy but it will be perfect. 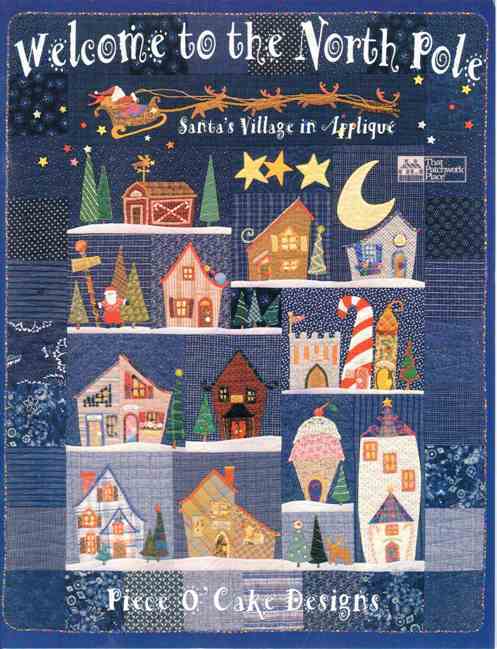 I had spotted a new quilt called Welcome to the North Pole and I am doing it with other ladies who are online as a stitch-a-long where we show our work by the last Wednesday of each month. 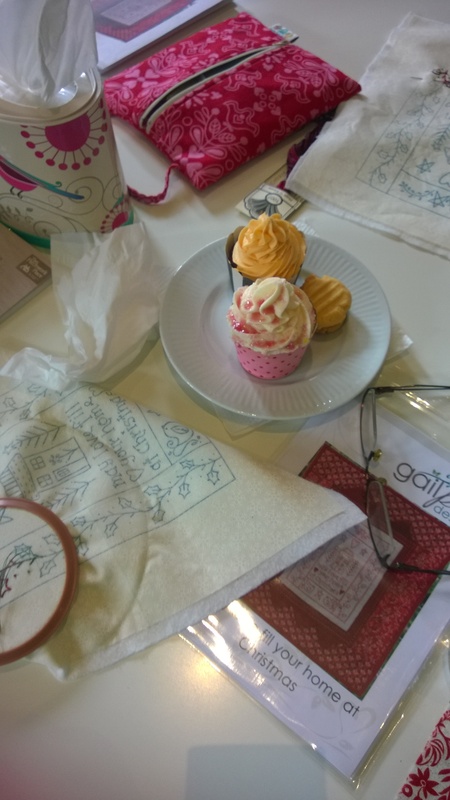 I’m doing my quilt through Angels in Gumboots and am doing it in applique with a small number of needle turning. The quilt looks quiet challenging. 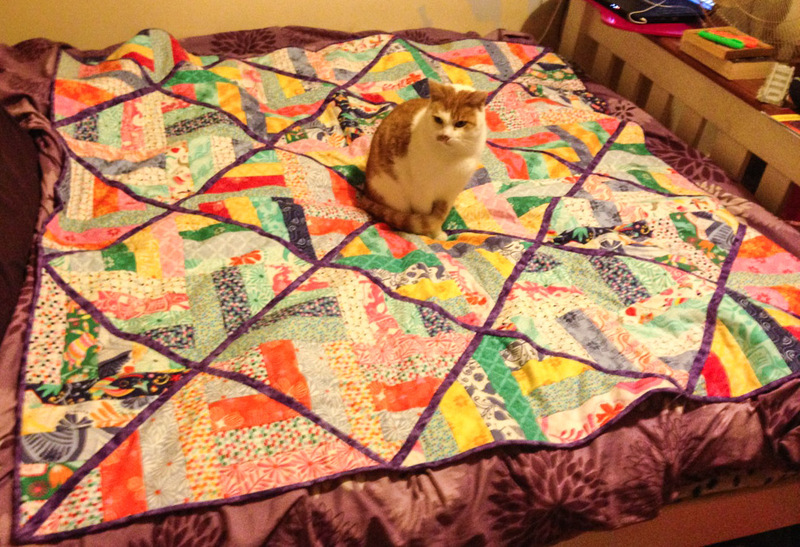 If you have this quilt and wish to join in click here to direct you to the site.